Months ago, I sewed the orange frame together with whatever thread I had handy. Since I’m working on the project again (and adding what you see above), I decided to rip out that seam with dark thread and start again. It’s a tiny bit of wasted work, but worth it especially now that I bought orange thread for my other project. This square will also finish at 5″. You’ll note the much larger grackle in the center. That’s from the same fabric as the other, but with much larger grackles. I’m glad I ordered the large size, too. It adds a lot to the layout. 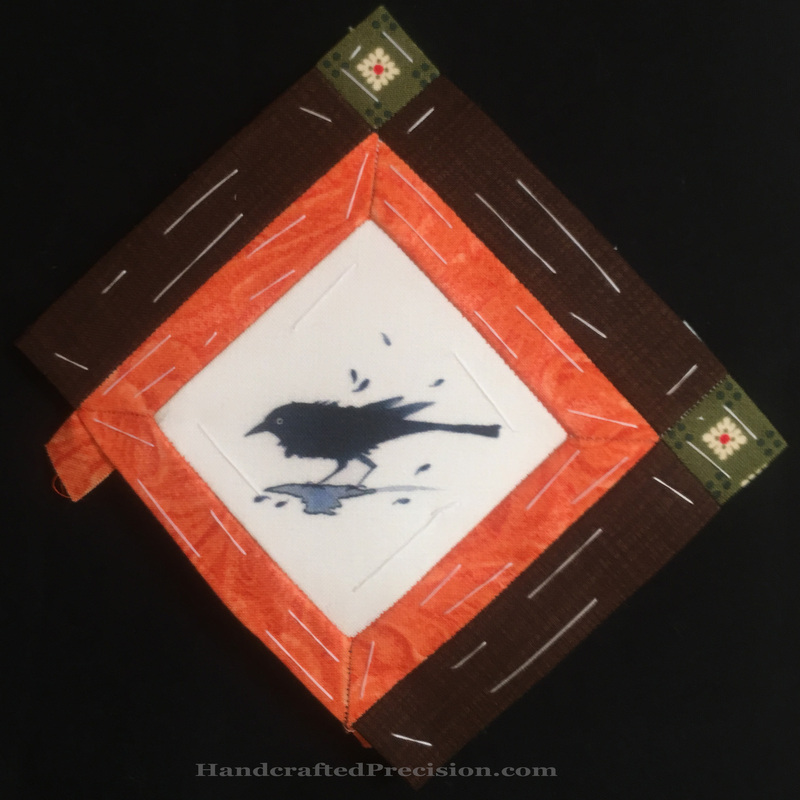 This entry was posted in English Paper Piecing, Hand Sewing, Oops and tagged Grackle Party on November 10, 2016 by HP.